Fundraiser for Thomas Stoy by Penny Shipe : Olivia Stoy:Transplant & Liv it up! Olivia Stoy:Transplant & Liv it up! Update: Many fundraisers have been put into place to raise funds for the Stoy Family to cover the cost of the transplant. Nearly a month into fundraising, Olivia's story had reached so many people that the initial goal was met! $350,000 was the cost of the initial procedure and does not include additional treatment: hospital stays longer than the allotted 50 days, medications, time off of work, and travel expenses. Depending on how fast Olivia's health progresses after the transplant, additional bills could add up fast. Now, Olivia wants to use this experience to bring light to childhood cancer and raise additional money for other children in medical battles of their own. As a result, she created Liv It Up , a campaign designed to shed light on the struggles of childhood cancer through her own personal experiences and those of families she has met along the way. In an effort to help her through the recovery process, Olivia wants to raise $1 million for Liv It Up, to help give young cancer patients a chance at being a kid and their parents the peace of mind that they will have help paying for life-saving medical treatments like Olivia's. Olivia Stoy was an active 12 year old girl, finishing her first year at Angola Middle School. What was thought to be a lingering cold turned out to be something much more serious. 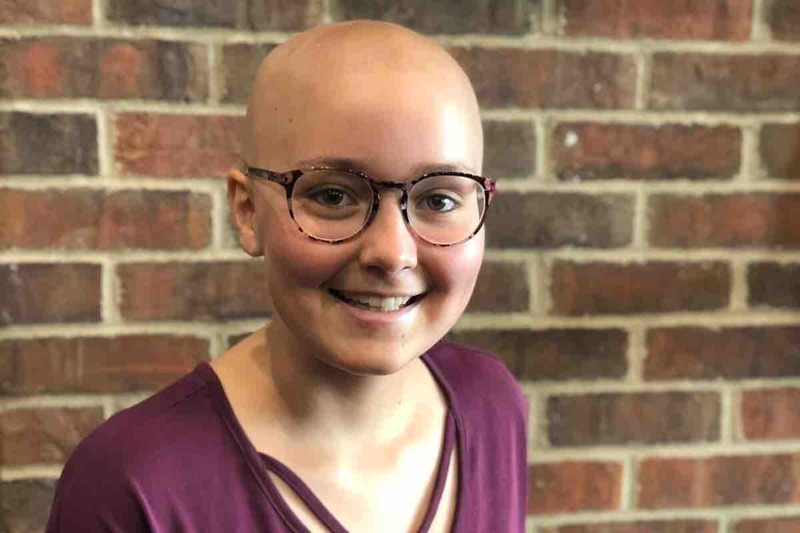 Olivia was sent from a local hospital to Riley Hospital for Children in Indianapolis and was eventually diagnosed with T-Lymphoblastic Lymphoma. Right away, her team of doctors worked on her treatment plan. Of course, there were a few bumps in the road: a chemo medication that at normal strength caused Olivia to have seizures; an infection which meant an automatic 2 week stay in the hospital; not to mention all of the trips to and from Riley in between those events. But after all the ups and downs on February 14, 2017 Olivia was declared cancer free but would need to continue treatments through September 2018 to increase the chances of her cancer not returning. During this time, many people asked how they could help, how could they donate. The Stoy family was not in need of funds at the time and Olivia wanted to make sure other kids could benefit from the work of the Child Life Specialists at Riley and Cancer Research. All money was directed to the Riley Foundation where Olivia chose it’s route. To date, over $50,000 has been donated to Riley in Olivia’s name. In March 2018, just one year after celebrating Olivia being cancer free, Olivia’s cancer returned. It was devastating for all who followed her story. Right away the doctors at Riley worked on a plan for Olivia’s relapse. The plan consisted of several rounds of chemotherapy and once the cancer is gone a bone marrow transplant will be needed. After testing members of Olivia’s immediate family, her brother was found to be a 100% match! The Stoy family is part of a faith sharing insurance plan that does not cover organ transplants, including bone marrow transplants. While the family has appealed to the insurance board, on May 14, 2018 the sharing/insurance plan declined coverage of the bone marrow transplant which is the recommended treatment option by doctors at Riley Hospital for Olivia’s survival. We are fundraising for the Stoy Family to help cover the cost of the bone marrow transplant. The original estimate is $900,000. The family has negotiated a price with the hospital and needs to raise $350,000 before for the bone marrow transplant can take place which is estimated to begin July 2018. Should any complication arise during Olivia’s treatment additional funds will be needed. If funds are raised that exceed the amount needed for the bone marrow transplant, the hope is that this fund can provide to other childhood cancer patients and their families for years to come in honor of Olivia Stoy, a true fighter and inspiration to so many! Tax deductible checks can be made out to “Liv it Up” and mailed to Pleasant Lake Mennonite Church | c/o Liv It Up | 5142 S. Old US Hwy 27 Pleasant Lake, IN 46779.